It’s been a bad couple of weeks for government, both in the Washington region and across the country. Aside from the excruciating and seemingly endless presidential race between two disliked contestants measured merely by the degree of the other’s disrepute. Absent a fondness for presiding over a bureaucratic project in a “death spiral,” there are two people no rational person would want to be in Washington right now. One is the relatively obscure Secretary of the U.S. Department of Health and Human Services, suffering the grim news this week that the controversial federal government health care program is crawling closer to being unsustainable. The administration acknowledged on Monday that health insurance premiums on the federal exchange are skyrocketing by a national average of 22 percent. This comes simultaneous to dramatically rising deductibles and co-pays, constricting care access and plan benefits, crumbling insurance cooperatives, and insurers fleeing the exchange marketplace. Of course, if you’re among the vast majority of Americans with job-provided coverage or the nearly 90 percent on a health care exchange plan who are heavily taxpayer subsidized, you aren’t feeling the pain and don’t much care. Your health insurance is also worsening, of course, and employer-provided plans are eating up your next pay raise or threatening job loss by layoff, but it’s easy to look away and pretend otherwise. The other persona non grata of the moment in the nation’s capital is Metro General Manager Paul Wiedefeld. He got an earful last Thursday at a nearly 10-hour public hearing of the Washington Metropolitan Area Transit Authority regional board. Metrorail riders expressed, in the straightforward language of regular folks, anger and dismay at the transit agency’s performance and Wiedefeld’s variable and multiplying proposals to curtail service. It wasn’t only metropolitan area transit advocates, business groups and politicians weighing in, but regional residents who took the time to turn out to testify. Public outrage was focused on Wiedefeld’s continuing insistence that the Metrorail system serving D.C. and the surrounding metropolitan area in both Virginia and Maryland must permanently cut back operating hours and late-night weekend service to conduct regular maintenance following the conclusion of the nearly year-long SafeTrack repair program in May. To hear Wiedefeld tell the tale, it’s a question of how many hours of repair work he adamantly insists are needed each week to maintain the system. He’s been unable to offer adequate explanation why more hours are needed here than for other systems nationwide. 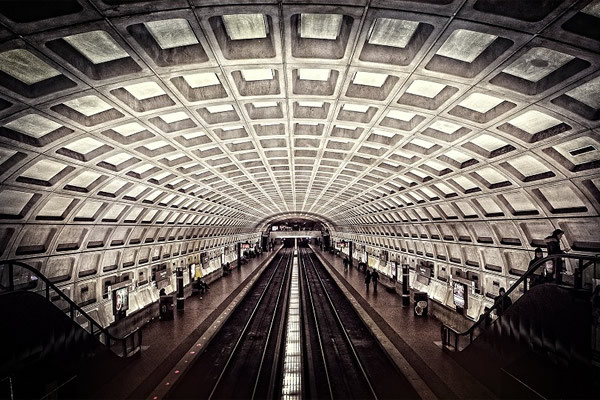 As if threatening the public like children to be sent to bed without dinner, Wiedefeld more recently released a proposal to shut down a large number of Metro stations for all but rush-hour periods concentrated in lower-income and less-developed areas. His plan would cut off the transportation lifeline for those most in need of it and stunt future development of desperately needed housing. There is also a high degree of skepticism that either permanent service cutbacks or throwing more money at the problem will yield better results than seen so far. A speeding train nearly running down two Federal Transit Administration safety inspectors last Thursday was only the latest in a now-daily litany of a system in disarray. Metro is plagued with deficiencies in staff performance, customer service and employee attitude. Yet over the years Metro management has acceded to labor union demands for unsustainable compensation rates, benefits and pensions. Metro was recently forced to file a lawsuit over falsification of safety inspections in a challenge to union-negotiated rules. Metrorail’s breakdown is increasingly viewed less as a crisis of cash and more a problem of performance, exacerbated by a failure in government oversight. There is scant hope for providing a regional sales tax dedicated funding source without major improvements. Wiedefeld seems blithely unaware that the region’s economic growth, development and vitality depend on transit operating during the expanded lifecycle of a modern metropolis. Fortunately, few support his plan to move in the opposite direction.